Even if you have little time, you can visit Amsterdam in a day and see and experience the Capital City of the Netherlands. Of course you have to make choices, but the touristic center is not very big and with some preparation before you arrive, you can actual doing quite a lot during your one day in Amsterdam. We will give you some ideas and suggested itineraries to make the most of your day. Of course I cannot give you one itinerary who everybody will like. A lot depends of your group, whether or not you have kids with you and your interests. Some people just like to see the street life and others want to go shopping. The next wants to see some interesting museums or is interested in the architecture of the buildings of Amsterdam. A lot is possible and a lot can be done in Amsterdam in a day, just be flexible and go well prepared. Take a Canal Tour. This is an easy and relaxed way to see lots of the city. The Canal Tours take about 80 minutes and you visit the world famous Canals, see some of the bridges and can explore the typical Dutch Gables on the old houses. More practical information about where, what and how can be found on the page about Amsterdam Canal Cruises. After your cruise, you probably want to walk your way around one of the neighborhoods of Amsterdam. Close to the Westermarkt you can find the Houseboat Museum. That's quick, fun and interesting to see how people live on these boats. 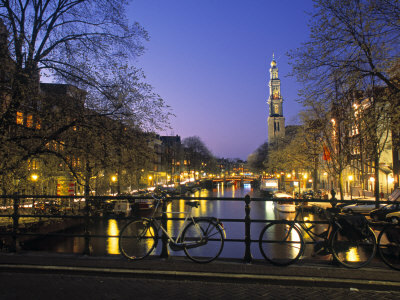 Then I would suggest you walk your way along the Canals towards the Jordaan. In this area you can find nice galleries, little boutiques and the hidden courtyards. On the south side of the Jordaan you will find the Leidseplein. Especially on beautiful days there are large terraces where you can sit outside and watch the street life while having lunch. It's a cosy square to relax and enjoy. 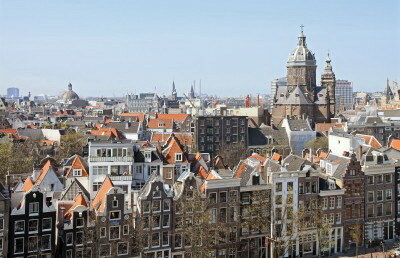 After Lunch I would head over to the Museumplein and go to the VanGogh Museum or Rijksmuseum. Both are famous and interesting. But I can imagine that you don't want to spend the whole afternoon in a big museum and if this is not your thing, then you can always opt for the Heineken Experience. Heineken is the famous Dutch beer and you can visit the brewery and learn and taste something of this famous beer. Around the corner from the Heineken experience is also the biggest market of Europe, called the Albert Cuypmarkt. Take a streetcar back to the old centre. It's a nice experience these old-fashioned streetcars, called "trams". Get out at Dam Square and spend some time at the Monument and look around this area to see the Royal Palace and the New Church. Get a drink, take a rest at one of the brown cafe's or on one of the large terraces. 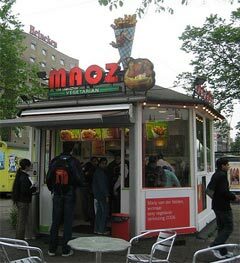 For diner I would suggest the typical Belgium French Fries with lots of mayonnaise or one of the 100 other sauces on top, served in a cone shaped paper bag. You can get these in little booths on the streets. Not very healthy, but yummy, quick and low budget. But of course you can also take your time to go to a nice restaurant. 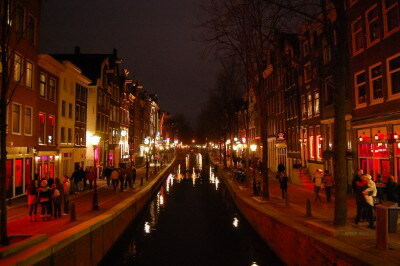 Then comes the most exciting part of your Amsterdam in a day visit: The Red Light District. A first visit to this area leaves big impressions on most people. To see window after window almost naked girls lined with red lights and all the people walking and gawking by....It's a strange sight and feeling, but a not to miss part of Amsterdam. It's pretty safe also, especially before midnight. Find all you need to know on our page about the Red Light District. 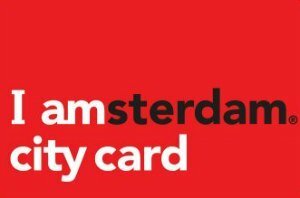 Start reading Amsterdam Basics and learn your way around the city, fun facts and useful things for a trip well planned!